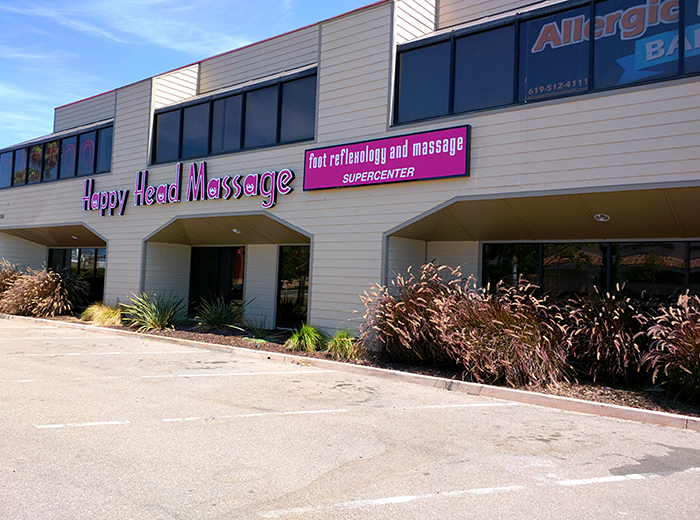 Our largest Happy Head in San Diego. Over 30 massage beds able to accommodate large groups and massage parties. Plenty of free parking at this location. Located at the corner of Rosecrans Street and Midway Drive.